Muscle car enthusiasts can take this fact-filled reference with them anywhere! 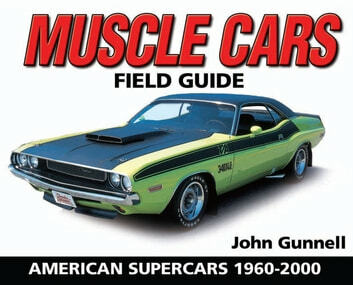 Featuring more than 300 American muscle cars produced during the last 40 years, this is the ultimate guide for high-performance enthusiasts. This full-color reference features more than four decades of the most powerful American cars ever produced. Listings include a historical background, original factory specifications, available options, original pricing information and an updated price guide, with current values in six condition grades. Includes every type of high performance model from early full-size favorites like the 1961 Chevrolet Impala SS to muscle car heyday favorites like the 1970 Plymouth Road Runner SuperBird, as well as other high-performance classics of the 70s, 80s and 90s.